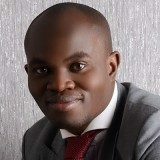 Kwame is a Co-founder and Managing Partner of Africa Empowerment Fund. He has a decade and half of experience in business (financial services in New York and the City of London), government, civil society and media sectors across four continents. His experiences range from advising a $7 billion diversified industrial conglomerate in India in a $135 million proposition to enter into a new market, to advising an agribusiness in Ghana in raising $25 million to launch a new venture to secure its raw material base. He is the founder of West Africa-focused investment platform, Diaspora Capital LLP, where he chairs the Investment Committee and leads the team in sourcing deals, conducting due diligence, structuring, monitoring investments and providing technical and operational support to portfolio firms. At the Bank of England, he was a member of a select team of four, which led the Bank in advising on the strategy and long-term viability of the business models of a diverse group of firms, with combined assets of $3 trillion and 300,000 employees. In civil society, Kwame has worked for #StandWithCongo, a global human rights group campaigning for transparency in mining in the Democratic Republic Congo. Kwame is the International Executive Producer of the award-winning documentary, When Elephants Fight, which was Executive Produced and Narrated by Robin Wright (Claire Underwood from House of Cards). He writes a regular column for ZNews Africa and has also written for Business and Financial Times, Citi Business News, Africa at LSE, Modern Ghana, and MyJoyOnline. Kwame is on the Board of the Microfinance Club of New York and Nuku Inc., an Accra-based health and nutritional company working to create malaria-free zones in Sub-Saharan Africa. He has a BS (Hons) from Binghamton University, an MBA from the Ross School of Business (Michigan) and an MSc from the London School of Economics.